Rendezvous specializes in custom shutters, shades, and drapery, We carry a wide array of products to fit your needs. We offer in-home, personalized service, and 15 years of experience to help you achieve the look that you want. Call today to set up your free consultation. Whether you are looking for functionality, style, or both, choosing the right window treatment can seem like an overwhelming task, but that’s where Rendezvous can help. We can help you choose a window treatment that fits your unique style and functions to serve your needs. From cordless and motorized shades to elegant panels and roman shades, we will help you make the best choice for your home. 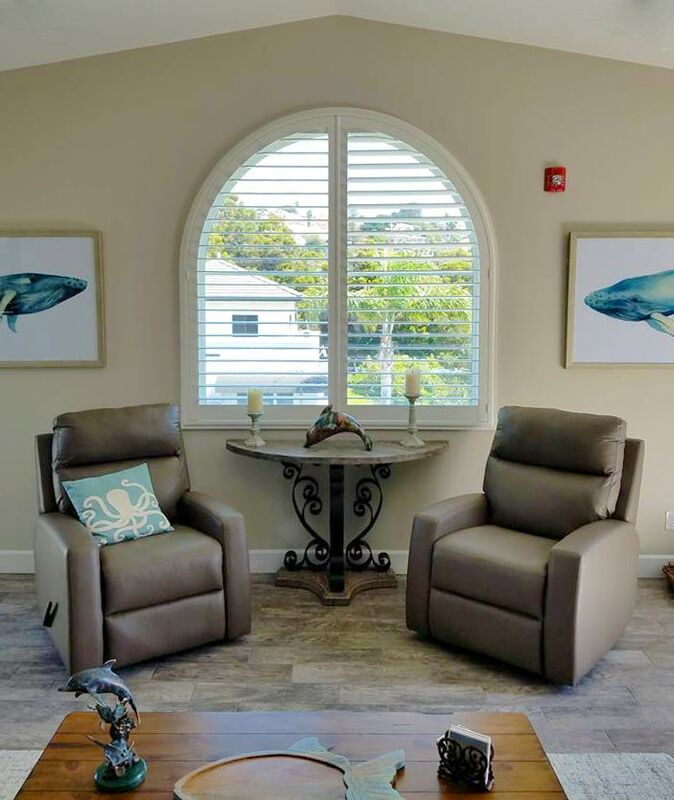 Whether you are looking for elegant drapes or functional shutters in San Luis Obispo, CA, we have the perfect window treatment for you. We have the largest selection of window treatments, including shutters, shades, drapery, fabrics, and roman blinds in San Luis Obispo, CA. Our window design experts will help you pick the perfect window treatment to fit your style and your daily life. We offer window treatment solutions to fit any budget. We offer in-home visits to help you visualize and create the perfect design. We offer free estimates and installations! For the perfect window treatment designs and solutions to fit your style, life, and budget, call Rendezvous today! October 26, 2017 Maureen A. "I am remiss by not sending a review when I first did business with Rendevous! I needed new window coverings for my master bedroom and Rendev..."
October 26, 2017 Karyl V.
"Jason is knowledgeable, efficient and personable. He assisted us with window covering choices in the middle of an interior remodel. Instal..."
"I am fairly new to the Central Coast, and remodeling my home here seemed daunting. As you know, there are trades people that are great at w..."
"Absolutely beautiful product and amazing service, highly recommend! " "Thank you for 15 years of great service, wonderful products, and the best decorating suggestions on the central coast."